Burton will only be playing for pride when hosting Manchester City in the second leg of their EFL Cup semi-final but that may be enough to spur them on to be competitive. The visitors look sure to make a number of changes from the side which romped to a 9-0 victory in the opening encounter. Such is their strength in depth, they are again worthy favourites to prevail, but 3/4 for both teams to score this time is our initial Burton vs Man City prediction. Burton were put to the sword from start to finish at Etihad Stadium, with Kevin De Bruyne opening the floodgates after just five minutes. “We didn’t expect anything less, with the gulf between the two teams – we thought it could have been more,” said Nigel Clough, with a wry smile. 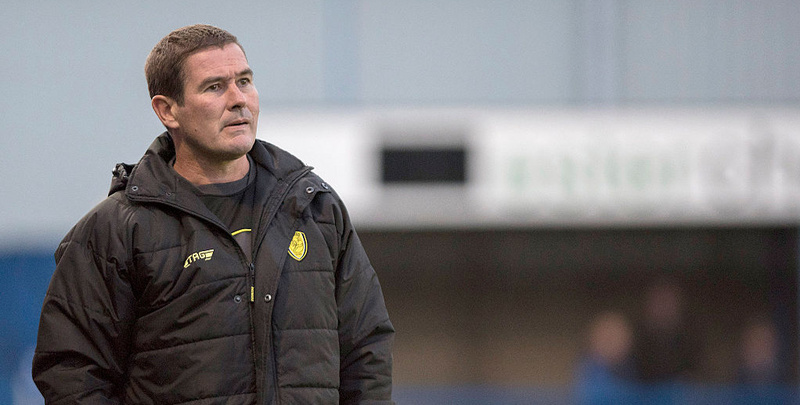 However, Clough has not let that drubbing affect his positive approach to the game and Albion have since scored four goals in two League One fixtures. Scott Fraser bagged a brace in a 3-2 loss to Gillingham, before John Brayford’s double helped the Brewers to draw 2-2 at Doncaster. Burton showed great spirit to get past Premier League Burnley, plus Championship trio Aston Villa, Nottingham Forest and Middlesbrough in previous rounds of this competition. They are unlikely to bow out with another upset victory, but 21/20 for an away win and both teams to score is another solid option from the Burton vs Man City odds. Gabriel Jesus scored four times for City a fortnight ago, with Oleksandr Zinchenko, Phil Foden, Kyle Walker and Riyad Mahrez also netting alongside De Bruyne. “Players like me want to play more, to help the team, and we went out there to win,” declared Jesus, who showed the benefit of that confidence-boosting effort when then netting twice more against Wolves. However, City had a five-day gap before their next match after the first meeting, whereas this time they will face Burnley in the FA Cup on Saturday afternoon and then travel to Newcastle in the Premier League on Tuesday. That will surely lead to the Spaniard shuffling his pack for this fixture, so we’re not expecting another one-sided rout at Pirelli Stadium. Let’s finish off our Burton vs Man City betting tips by taking 9/1 for the visitors to win 3-1.